Insitu is well positioned to provide the U.S. Coast Guard with the small UAS it plans to have aboard its cutters in the next few years. The company has plenty of experience testing and operating is Scan Eagle from the service's ships. Building on its strategy to drive innovation and adoption for IoT services in high-growth markets, Verizon today announced that it has purchased Skyward, a private company based in Portland, Oregon. The FAA is partnering with Xcel Energy, a Minneapolis-based utility, on a program aimed at using drones for the safe inspection of energy infrastructure. The utility is planning at least one beyond-line-of-sight flight in 2017. 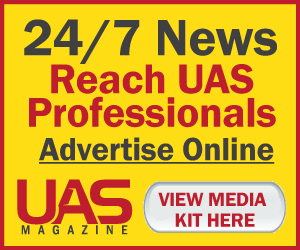 Rick Lusk has created a best practices guide for utilizing unmanned aircraft systems from the insight of pilots and practitioners from all over the world. Lusk, is the director of the unmanned aircraft systems center at ORNL. SideArm fits in the footprint of a standard 20-foot shipping container for easy transport by truck, ship, rail, C-130 transport aircraft, and CH-47 heavy-lift helicopter. The small-footprint system is designed to operate from trucks or ships. Dedrone's rapid expansion into the counter-drone market has attracted $15 million in new funding. One investor is John Chambers, executive chairman of Cisco, who said Dedrone empowers enterprise and federal customers regain control of airspace.